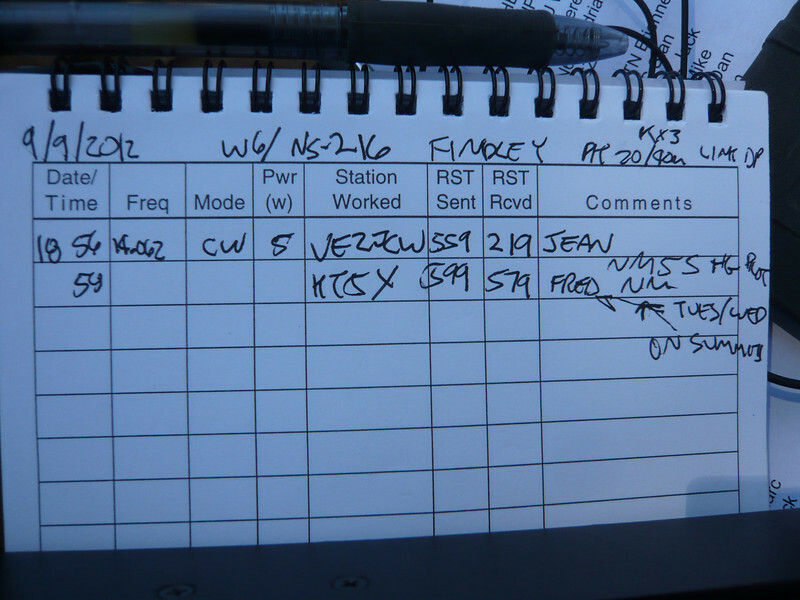 W6/NS-216 Findley Peak logbook page 2. I finished up the trip with a nice long rag chew with Fred KT5X. I'd worked him summit-to-summit the day before from Lacey Benchmark when he was WS0TA on W5N/EL-001. Thanks to everyone who worked me on this 4-summit activation trip!